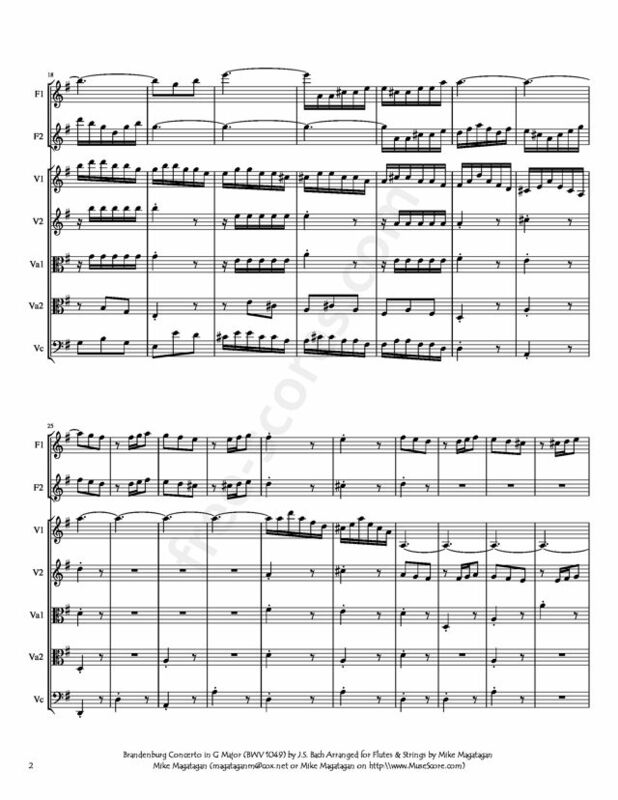 The fourth Brandenburg Concerto is scored for violin, two flutes, strings, and continuo. Bach's score calls the flutes "fiauti d'echo", an unusual term which probably indicates that a recorder in F was intended. But does "d'echo" mean more than simply specifying which recorders were to be used? 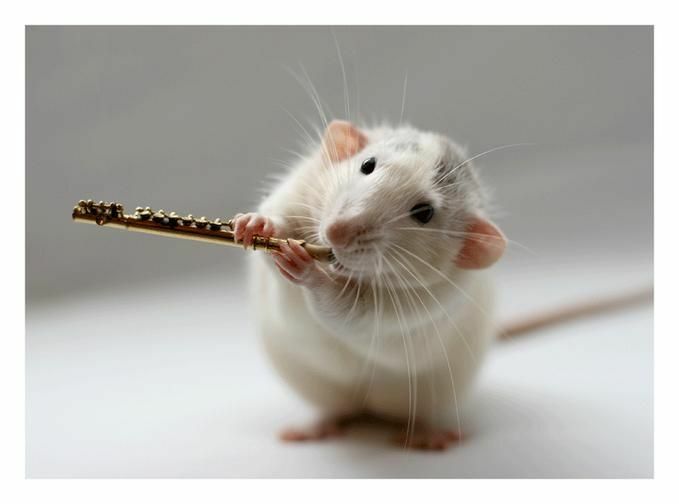 If indeed recorders, rather than the transverse flute, then one might presume that the softer sound of the recorder is intended as a sort of echo - except for the fact that the flutes appear from the start of the Fourth Brandenburg, even without the solo violin, and while they occasionally double the solo violin, they are rarely used in an echo function. They do occasionally "echo" each other, especially in the second movement, but one wonders whether Bach really thought of these repeated "echoes" as softer echoes, or merely as imitative passages, which we find so often in Baroque music. The flutes in fact play a prominent role, which might make one think this concerto has a solo group (concertino), in the concerto grosso format, but the work is sometimes considered a solo concerto for violin, given the long passages for solo violin alone (without the flutes and with the orchestral strings providing limited support). Or perhaps the Fourth Brandenburg is an amalgamation of the two distinct types of concertos. The Fourth Brandenburg Concerto is unique in that it is the only of the six in which all instruments are used in all movements. (In the other concertos, the middle movements have a reduced instrumentation.) The first movement (Allegro) uses both a ritornello structure as well as an ABA form, like we might expect in a da capo aria. 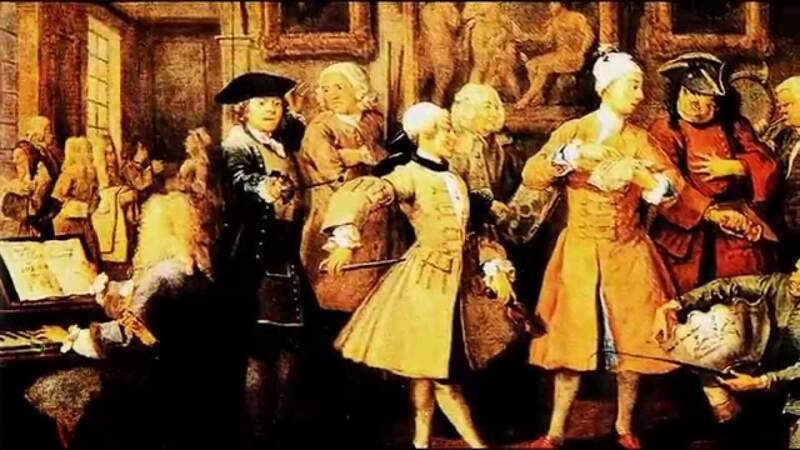 the ritornello theme comes back in numerous guises, including in shortened form later in the movement (typical of ritornello forms of Vivaldi, one of Bach's models for the Baroque concerto and concerto grosso), and is heard presented by the flutes and by the solo violin, but never by the strings of the ripieno. As in the Fifth Brandenburg Concerto, the opening theme of the Fourth Brandenburg is an example of the kind of theme known as Fortspinnungtypus. This kind of theme usually contains three parts: 1) the theme clearly establishes the tonality (which occurs here through the elaboration of a G major triad); 2) the actual Fortspinnung (continuation) moves away from establishing the tonality, and frequently uses sequence (what you see in the repeated-note arpeggios above); and 3) a conclusion, which contains a clear, strong cadence. 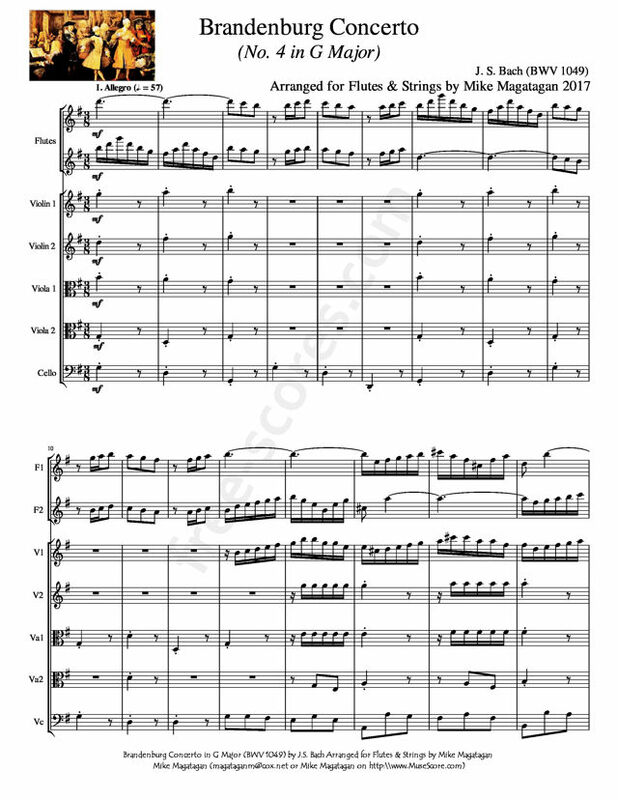 The second movement is set in the relative minor key of e minor, and is sarabande-like (according to Bach scholar Michael Marissen) - moderately slow tempo, triple meter, with a tendency to accent the second beat of the measure. in this movement, the ripieno continues to play a secondary role, almost never performing melodic material on its own (there is one notable exception: the prominent bass/continuo melodic statement in measures 55-58). Meanwhile, the flutes really take the lead over the solo violin, with the first flute playing the most elaborate passages in this movement. The movement remains in the minor mode throughout, never hinting towards the relative major key of G heard in the outer movements. The effect can be seen as more solemn than somber. The Presto, for all its high spirits, is probably the tightest and most satisfying convergence of ritornello form and fugue in all Bach's music" (Boyd, The Brandenburg Concertos). This is a powerful, brilliant tour de force, set in duple meter, and not clearly mirroring any dance movements of the time. the lack of a dance feel or reference is likely due to the prominent given to the fugal elements here. Originally written for Violin, two Flutes, Strings, and Continuo, I created this Arrangement of the Brandenburg Concerto No. 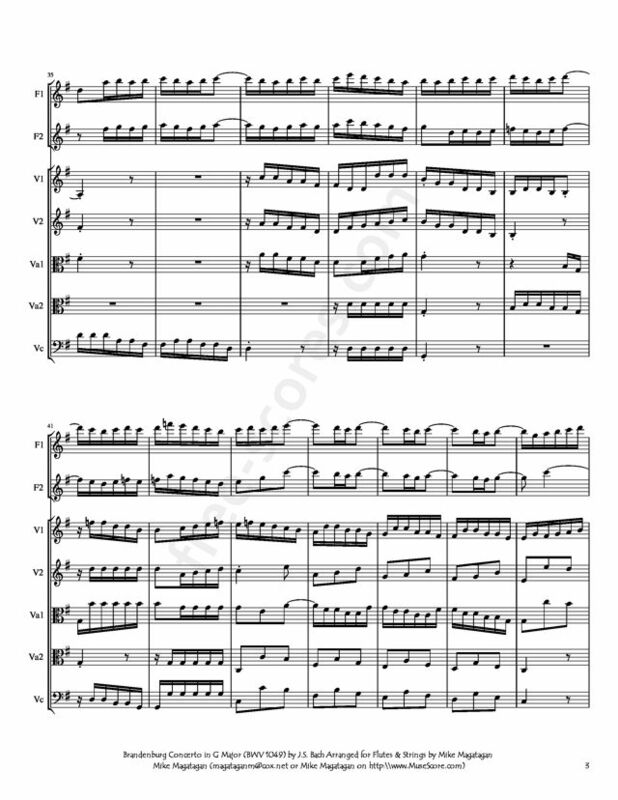 4 in G Major (BWV 1049) for 2 Flutes & Strings (2 Violins, 2 Violas & Cello).